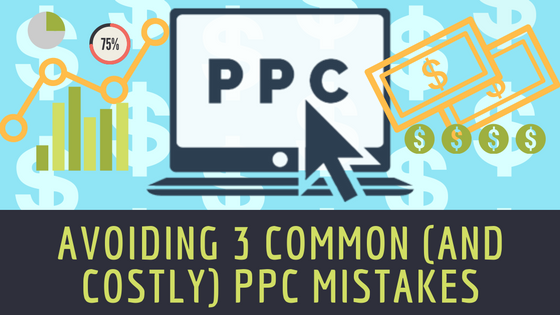 Avoiding 3 Common (And Costly) PPC Mistakes | BMT Micro, Inc.
Pay-per-click (PPC) marketing can be one of the most effective ways to quickly generate leads and grow your business. But, many companies still have a difficult time unlocking the potential of PPC due to generic mistakes. These mistakes prevent companies from generating a great ROI from PPC campaigns, yet are easily fixable. Both Google Adwords and Bing Ads have keyword match types ranging from broad match targeting to exact match targeting. Broad match is the default setting when adding a keyword in Google (so it is easy to overlook), but will not drive the most qualified traffic to your site. Your ads will get shown in places that are irrelevant for the content when running all “broad” match keywords. Typically, exact match keywords get the highest conversions, but they have limited search volume. In some cases, broad match can be good, but use it with caution. It is recommended to stick with exact match and utilize all available bid modifiers (mobile, geographic, etc.). This way your ads will show for the keywords that are going to drive traffic to your site. Google and Bing allow their PPC users to modify bids based on things like time of day, location, the day of the week, and the device being used. Performance varies across all users and each campaign is unique so it is important to review this data regularly. By doing this you can make the necessary bid adjustments based on lower and higher performing days. This will also help save money on lower performing days. When PPC users bid on keywords, Google and Bing match those keywords to search queries typed by customers. It is important to check your Search Query Reports weekly in order to understand the actual search phrases that triggered your ad. Also, make sure to utilize negative keywords for ones that are not targeted or converting well. These common PPC mistakes can be prevented with just some small changes. Ultimately, checking your campaign settings and monitoring your data on a regular basis can help save your advertising dollars tremendously. If you are interested in learning more about some of the different PPC Advertising platforms available, check out our previous blog for more information.